Since the team is on a well deserved rest, after a successful season under the guidance of Misbah, after much procrastination myself, I decided to embark upon this highly futile, yet personally fulfilling exercise of gauging the amount of success Pakistan cricket has had in the Test arena, under each head of state/ruler/dictator. I hoped to achieve nothing from this exercise, and it is safe to say that I haven’t apart from another way to use CricInfo’s (awesome) stats guru. So the basic idea was to count the number of Test matches/wins/losses/draws Pakistan has played under each head of state, I chose to start with the Ayub era, which starts from 8th October, 1958 and ended on 25th March 1969 with him handing over his powers to Yayha Khan. Under Ayub Khan – 8th October, 1958 to 25th March, 1969. Pakistan played their first match under the Ayub regime against the West Indies, which started on 20th, February 1959 and thrashed the Caribbean side by 10 wickets. 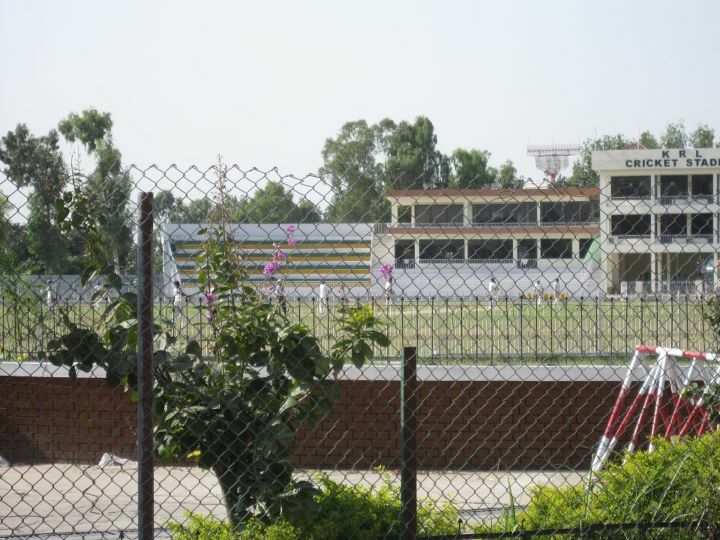 A successful start for the team under the Ayub dictatorship saw Pakistan win 2-1 against the visiting Windies. However, that was the pinnacle of their success under Ayub, and Pakistan only managed to win 2 more tests against the visiting Kiwis in 1965, during the 10 years of the first despot in power. The last Test Pakistan played during the Ayub era started on 6th March, 1969 – three weeks later, he was packing up. Pakistan didn’t win much (read: at all) in the cricketing arena, just like in every other field during the 2nd dictator. Infact, we only played 2 series under Yahya, one against New Zealand (1969) at home and the other IN England, both of which, we managed to lose. 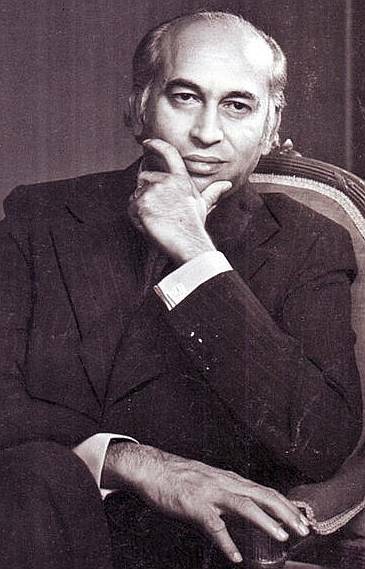 Apparently the first era of democracy in the country’s history, under waday Bhutto saw mixed results for our cricket. Up first was the graveyard of many-a-Pakistani-great-teams, also known as Australia. The first test in Adelaide was lost by and inns and 114 runs, and the team was clean swept in the 3 match Test series. The NZ (February ‘73) and Eng (March ’73) tour were immediately followed and Pakistan managed to retain some sort of respectability by beating New Zealand and drawing against the Poms. The 3rd Test against New Zealand was the first of 9 successive draws, Pakistan managed until they beat the same opponent at home in Lahore (1976). Pakistan closed out the Bhutto era with a 5 match series against the Windies, which I am told was lost after a hard-fought battle. First of all, ‘insert-customary-jiyala-gaali-whenever-Zia-comes-up’. Now that we are done with the important stuff, let’s move on to the trivial bits and pieces. 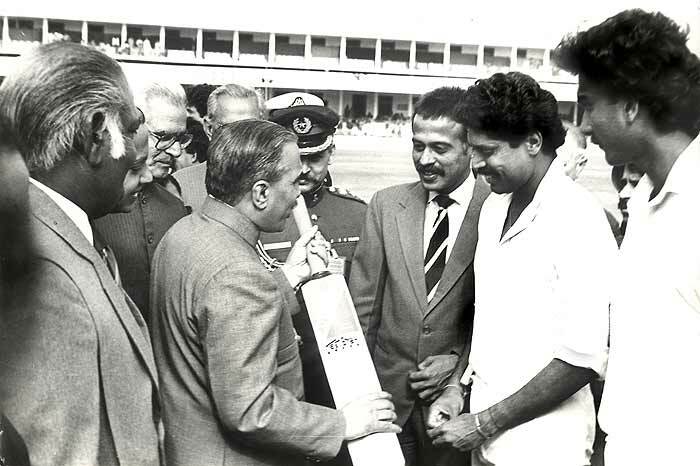 The resumption of cricketing ties between the arch-rivals saw Pakistan win their first cricket series in the Zia era. A series win followed in New Zealand, after which at Melbourne in 1979, Sarfaraz Nawaz destroyed (ok not really, but he did pick up 11 wickets) the Aussie batting line-up to win the match. Our current head coach Dav Whatmore scored 58 runs in that match. Various Pakistan-India series later, Zia ul Haq found that flying isn’t that safe after all. *I choose to end the Zia era on 2nd December, 1988 since that is when BB1 took over. Boring cricket to start the miss and hit decade of democracy saw the first 6 matches (against NZ and Ind) being drawn, followed by the customary series loss down-under. Back at home against Kiwis in late 1990, Pakistan found their form by clean sweeping the hapless New Zealanders. It is said that the former first-class cricketer is a big fan of the sport. The two times the Mian saab was in power, Pakistan reached the finals of the cricket world cup. Coincidence? I think not. Extra brownie points? Definitely. 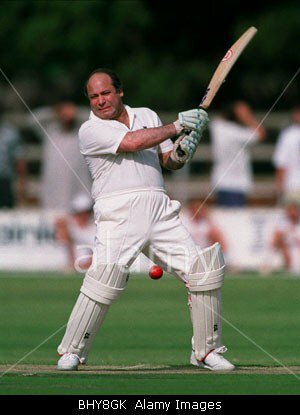 Pakistan did play some exciting cricket under Mian saab. WWinning <— (not a typo) the famous series in England (1992) followed by more WWinning in the one-off New Zealand test, but losing – rather badly, the so-called un-official World Test Series to West Indies. The second part covering BB(2) to the incumbent period may or may not come. He has scored 840 runs in 16 innings so far in the Quaid-e-Azam Trophy at an average of 70. He has scored 3 hundreds and a fifty, at an impressive strike rate of 71. He has had another stellar season on the domestic season, but Fawad Alam still finds himself out of the national team. The lean run-making machine is despised by fans of pajama cricket, on the bogus postulation of his un-ability to hit boundaries. Fawad has played some very valuable innings for Pakistan, in spite of the constant mistreatment of his abilities by the team management – he has it in him to be a solid all-round cricketer in Test and ODI cricket. Yet, he gets dropped for his shortcomings in a format ill-suited to the brand of cricket he plays. Scoring 168 on test debut, away from home, from an unfamiliar position – where the rest of the team crumbled around you, is a significant feat. Such is the misfortune of Pakistan cricket that the precious talent found him out of the test team after just 2 more tests. He was presented to New Zealand as a sacrificial goat, due to the cowardly attitude of the senior players (read: Shoaib Malik) in the team, who refused to bat at #3 on a green top in New Zealand. Fawad has represented Pakistan in 54 international matches in all three formats of the game; almost half of those have been T20I – a format of the game which is not suited to his approach of batting when sent at #6 or 7. 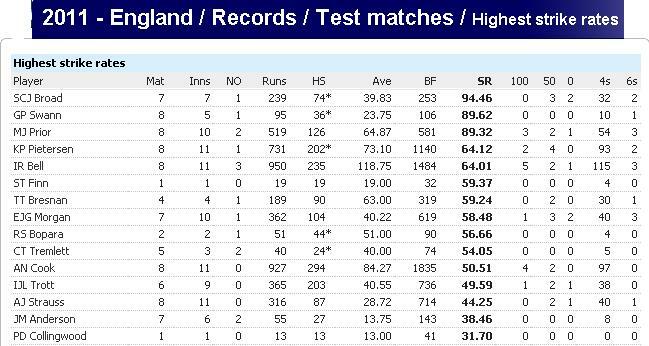 Out of the 17 innings he has played in T20’s only 4 of them have been at his natural position of #4, 5. His two most noteworthy contributions in T20I cricket were his; 8-ball-23 against Sri Lanka in Canada, and his run out of Albie Morkel in the semi-final of the T20 WC 09. 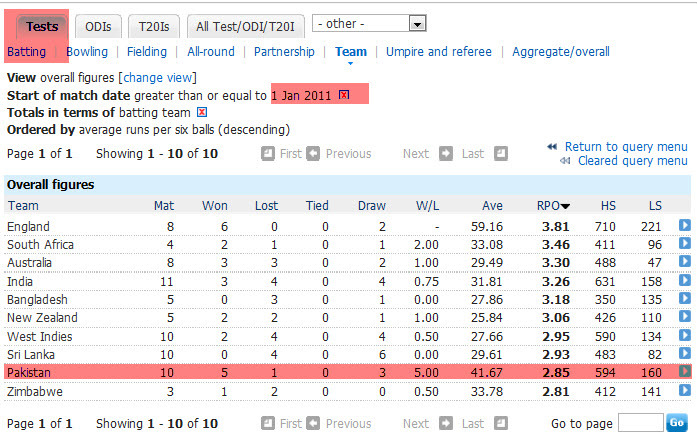 Fawad along with Umer Akmal was the solitary bright spot during the Australian shambles of 2010. After being ignored for the first 2 ODIs, Fawad complimented Umer well, and formed superb partnerships with the Lahore Dynamite, which were a treat to watch from a Pakistani fans point of view. He came in to bat under complicated circumstances when the team was 4 down for as little as 39 runs, but ran hard, took singles and built partnerships. In the sheer gloominess of the tour wash, he was being looked as a steadfast and responsible young talent, with a sane head. He averaged 39 in ODI’s against Australia, made valuable contributions in the England ODI series after the spot-fixing trauma, with an important 64 in the Umer Gul ODI. He also played a very useful hand at Abu Dhabi, in the Razzle Dazzle Show. Nearly got Pakistan home in the 3rd ODI against Saffers and was then unceremoniously dropped from the team in New Zealand after one T20 failure. Another substantiation of his grown-up attitude can be found in his absolute silence on the issue of his non-selection. He has thrown no tantrums unlike other ‘stars’ in Pakistan, has not run his mouth off in the media, has not blamed anyone – but has promised to try his level best to get back into the team, on the basis of his domestic performances. Boy has he delivered on those promises. Those who rubbish his domestic performances are naïve. 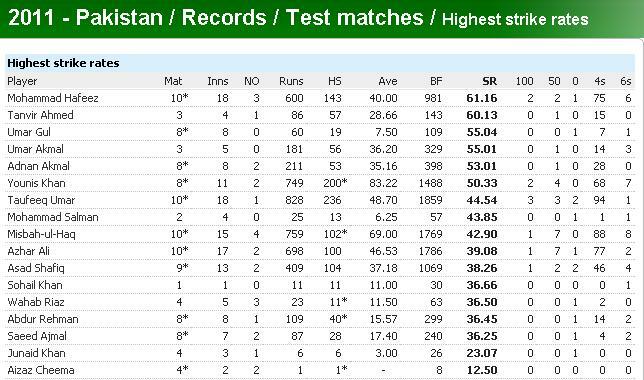 Averaging 58.60 (the highest ever) in the history of Pakistan cricket is no mean feat, at any level of cricket. There is no point of having a domestic structure if you are not going to select players on the basis of how well they have done there. His critics often question his lack of a proper technique as a reason why he shouldn’t be in the team. To them I say, aamb chupo.